The 2017 House Bill 949 entitled Driving Under the Influence was introduced by State Representative Cord Byrd (R- Neptune Beach) in the Transportation and Infrastructure Subcommittee on March 7, 2017. On March 21, 2017, the bill passed the House and is currently pending review of CS under Rule 7.18(c). The 2017 CS/HB 949 amends Fla. Stat. § 316.193(2) to provide that, in addition to other the other penalties provided, as a condition of probation, notwithstanding Fla. Stat. § 316.656, if a person is convicted of driving under the influence, and it is their first offense, then he or she may be permitted to place an ignition interlock device (IID) voluntarily on his or her vehicle in exchange for an adjudication withhold. If the offender voluntarily receives an IID, then the court will withhold adjudication as long as the person does not have a prior withholding of adjudication or an adjudication of guilt for any other offense. If the individual fails to comply with the full terms of the order for IID placement, then that may result in an adjudication of guilty, among other penalties. The criminal penalties for a DUI conviction can vary depending on the number of prior DUI convictions and the offender’s blood alcohol content (BAC), among other factors. The first DUI conviction is charged as a first-degree misdemeanor punishable by up to six (6) months in jail and up to $1,000 fines. A first DUI conviction may also include up to 50 hours of community service, up to a year of probation, and mandatory vehicle impoundment. The court, in its discretion, may also order an IID installation on an offender’s vehicle. Blood alcohol level or having a minor in the vehicle at the time of the offense can result in enhanced penalties for a DUI conviction. If a first-time offender has a BAC of 0.15 or higher, then the penalties may be enhanced. Additionally, if a first-time offender is DUI and has a minor in the vehicle, the penalties may be enhanced. In Florida, enhanced penalties for first-time DUI offenders can include up to nine (9) months in jail, mandatory IID installation on all vehicles jointly or individually owned or leased, and up to $2,000 fines. Being able to have such penalties expunged or sealed can substantially change an offender’s ability to get a job. The 2017 House Bill 949 is extraordinary because Florida law currently does not allow DUI offenses to have adjudication withheld. An adjudication withheld outcome means that, if an individual has no prior withholds in DUI cases, no prior convictions, and has never sealed or expunged a criminal record, then he or she may be eligible to have their criminal record sealed. If the 2017 HB 949 passes then this could open up an avenue for some people with first-time DUI charges to have the record eventually sealed. the person is applying for admission to a state bar such as The Florida Bar. 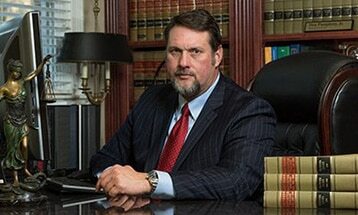 If you are interested in DUI Expungement in Florida, please contact our experienced attorneys today! If 2017 CS/HB 949 passes, some people with a first-time offense DUI will have an avenue to have adjudication withheld and ultimately have that offense sealed. Having a record sealed means that the record still exists, but no one may view it without a court order. Having a DUI on your public record can follow you for the rest of your life. If you or someone you know has been charged with a DUI in Tallahassee, Florida, then contact an experienced criminal defense attorney immediately to find out what action can be taken to preserve your reputation. Schedule an appointment with Pumphrey Law to speak one-on-one with a criminal defense attorney. Pumphrey Law takes cases in Leon County, FL, and the surrounding counties including Jefferson County, Wakulla County, Gadsden County, and Liberty County. Call (850) 681-7777 for a no obligations consultation.